"Judging in Europe: Do Legal Traditions Matter?" 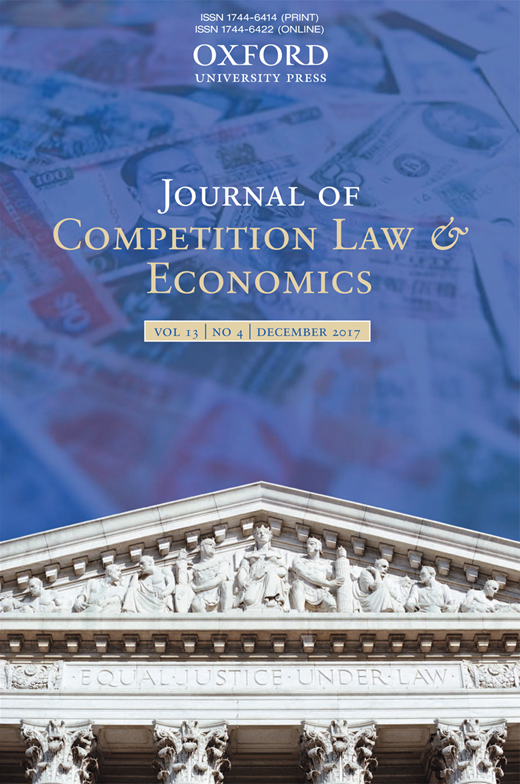 Abstract: EU competition appeals typically involve applications by private businesses to annul decisions made by the European Commission. Moreover, these appeals are first assigned at random to a chamber, with a judge then designated as the rapporteur who will be most closely involved with the case. Using hand-collected original data on the background characteristics of EU judges and on competition judgments by the General Court between 1989 and 2015, we test the extent to which the legal origins of judges bear a statistically significant effect on case outcomes and that the rapporteur plays a crucial role in the decision-making process. In particular, if a rapporteur comes from a country whose administrative law has a strong French influence, the decision is more likely to favor the Commission than if he is from any other EU country. These results are robust to alternative political ideology variables, including left–right politics and a preference for European integration.